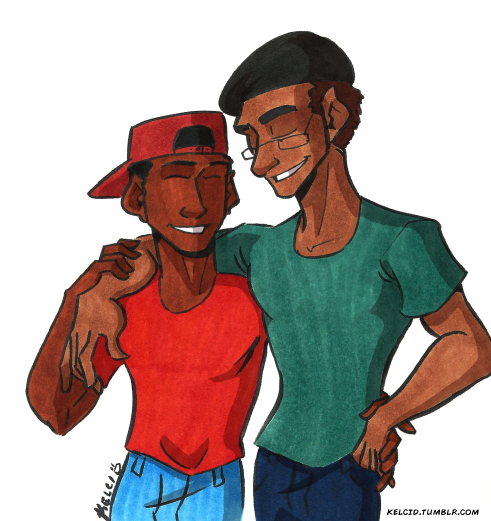 I drew this over the weekend – it struck me as odd that there weren’t any greeting cards for gay men, especially gay black men. So I wanted to draw something. This sketch is the start of something. I don’t think I’ll use this illustration specifically for a greeting card, but I’ll make a new illustration based on this one.